What secrets hide in the 45th President's inaugural speech to the nation? The 2016 U.S. presidential election will go down as one of the most unexpected occurrences in the country’s history. According to the Pew Research Center, 73 percent of all voters said that they were shocked by Donald Trump’s victory. Even 60 percent of Trump voters didn’t expect their candidate to win. 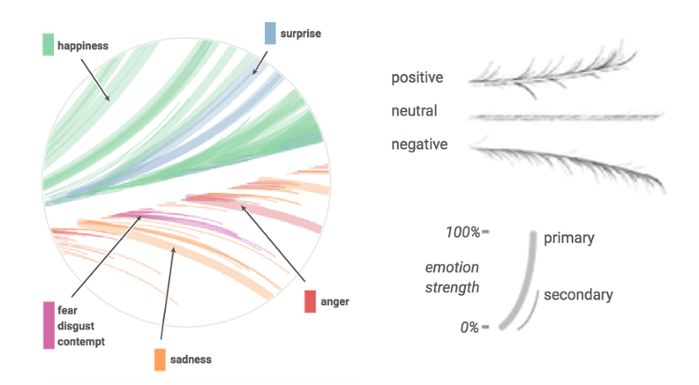 The campaign was certainly an interesting moment in U.S. politics, but data visualization firm Periscopic decided to take this election as an opportunity to learn more about emotional expression. What they found was that President Trump expressed more negative facial emotions during his inaugural address than any other president in nearly 40 years. To dig deeper into this project, we talked with Periscopic designer Skye Moret. She worked with her team – composed of head of data visualization Kim Rees, data explorer Wes Berneggar and creative director Dino Citraro – to utilize Microsoft’s Emotion API. The platform uses a complex image input system to detect anger, contempt, disgust, fear, happiness, neutrality, sadness, and surprise. 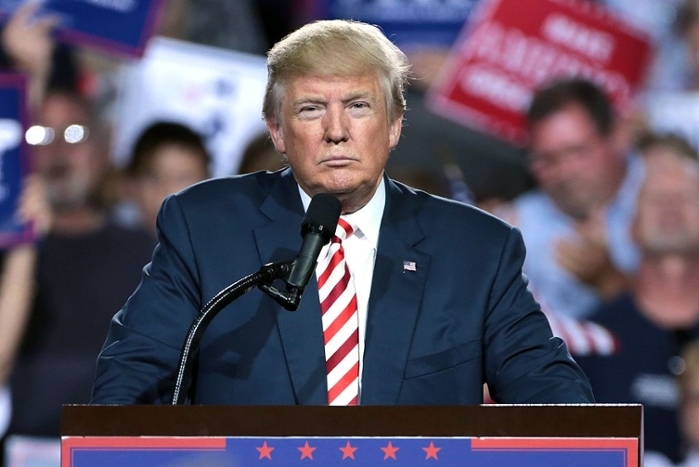 Following a visualization of emotions across the current president’s 2016 campaign, Moret and her team decided that a more controlled environment for Trump’s emotional expression would be his inaugural speech. After gathering videos of presidential inaugurations dating back to Reagan, Periscopic had to crop the videos so that only the president’s face would be picked up by the software. Once Microsoft’s Emotion API collected the data, the team found that the primary emotion across videos for many moments was neutrality. They therefore had to utilize the secondary emotion in these instances. Visualizing the results was the main challenge. Moret told us that countless sketches and failed experiments finally led to the idea of mirroring a feather. Her team decided that the best way to do this was to angle and curve the data points on each president’s graph. In this way, the team was able to turn a simple bar graph into the feather visualization below. Each line that curves upwards is a positive emotion in a president's speech, such as happiness, while every downward curve is a negative feeling: anger, sadness, disgust. After all this work, Periscopic found that the current president’s address was 40 percent negative. For comparison, let’s take a look at Reagan’s second inauguration in 1985, which Periscopic recorded as 74 percent positive. The historical context behind these inaugurations can help explain the difference in sentiments. Reagan won 49 states in a historic landslide victory, while President Trump didn’t capture the popular vote. However, a close election doesn’t explain everything. George W. Bush also had a very tight race in 2000 that eventually led to the Supreme Court stopping a Florida recount and thereby declaring him the winner. January 21, 1985. In his second inaugural address, President Reagan spoke of continuing the work of his previous term, celebrating the progress of the American people, and concerns about the ongoing Cold War. Courtesy CBS News. Despite that, Bush maintained a 14 percent positive emotional expression during his inaugural address. Moret states that the current “anxious political climate” surrounding the most recent election is the reason her team decided to visualize inaugural emotions. Through all of this, Moret and her team are optimistic that this visualization can provide some much-needed information to Americans. “It is my hope that our custom visualization creates new dialogue and visual literacy regarding more expressive visualization about sentiment-based data," Moret says.